Company Overview - Shenzhen XGC Furniture Co., Ltd.
9YRSShenzhen XGC Furniture Co., Ltd.
Shenzhen XGC Furniture Co., Ltd. was founded in 2009, specializing in R&D, production and marketing of modern, luxury, fashionable, creative, low carbon, energy saving, healthy and environment friendly plastic illuminated furniture & decoration. With 10 years of experience in development, design and manufacturing, we're one of the earliest and biggest manufacturers of rotational molding furniture in China. We established a sales company and production base in Guangzhou, with more than 60 employees, a group of high-quality marketing management personnel, design and processing technology team. The marketing exhibition center is over 2,000 square meters, and the production base is over 6,000 square meters. It is equipped with mold developing department, rotational molding production workshop, lighting electronic workshop, fiber reinforce plastic processing factory, assembly and packaging workshop and etc. ; has 6 large-scale rotational molding machines and injection molding processing equipment, can process rotational molding products of which size is within 5 meters, product molds up to more than 500 models, support many options for complete set of product, excellent quality, all rotational plastic molding molds are aluminum, product surface 0.05mm sandblasting effect, annual production of PE materials can reach More than 800 tons, the products are exported to more than 50 countries and regions in Europe, the Americas and the whole world, and globally support more than 1000 KTV decoration design projects.Main product categories:Furniture category: chair / stool, table, sofa / lounge chair, bed / bedside table, bookshelf / mirror.Decoration & Lighting Category: plant and flower vase, decorative Lights.Home accessories: kitchen utensils (ice bucket, plate, fruit plate, incubator, beverage bucket...), Electronic gifts, pillows & mats, etc.Applicable places:1. Nightclub & bar : nightclub, bar, KTV, club, Auditorium, disco / leisure bar ...2. Event & Party: Wedding, Celebration, Birthday party, conference, concert ...3. Outdoors: garden / courtyard, pool / beach, Yacht Marina, golf course, tourist scene, public squares...Dream of road, starlish ! 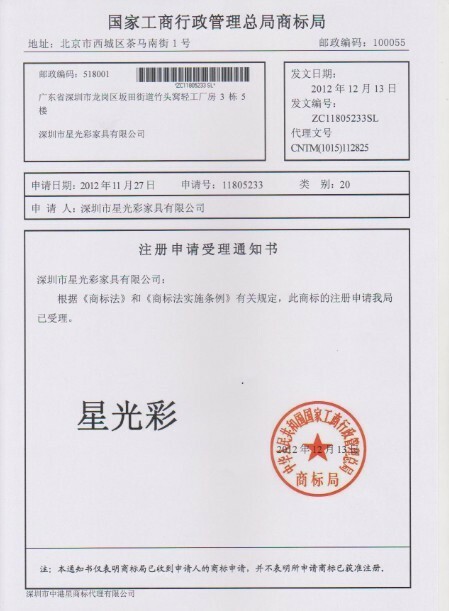 ---XGC will keep up with the times, constantly improve the enterprise management system, optimize the product matching portfolio, deepen the brand strategy, and strive to build the "Starlish" brand to the world's first brand of illuminated furniture!Thanks for all your support and cooperation, we will provide you with efficient and high-quality services. We sincerely hope to cooperate with you to create brilliance in the future !For more pictures and videos, please contact us, welcome new and old customers to visit us !